"LONDON FILM-MAKERS COOP ABOUT TO BE LEGALLY ESTABLISHED STOP PURPOSE TO SHOOT SHOOT SHOOT SHOOT SHOOT STOP NEVER STOP NO BREAD NO PLACE TO LAY OUR HEADS NO MATTER JUST MIND IF YOU WANT TO MAKE MONEY STOP IF YOU LIKE BRYAN FORBES STOP IF YOU READ SIGHT AND SOUND STOP IF YOU WANT TO MAKE FILMS I MEAN FILMS COME ALL YOU NEEDS IS EYES IN THE BEGINNING STOP GEN FROM 94 CHARING CROSS ROAD W.C.2 PARTURITION FINISHED SCREAMS BEGIN STOP"
The London Film-makers Co-operative (LFMC) was formed on the 13th October 1966 and was initially centred around the Better Books bookshop on Charing Cross Road. The founding members included figures such as Bob Cobbing, Jeff Keen, Simon Hartog and Stephen Dwoskin, who had recently emigrated from New York where had made his early works. Cobbing had been manager of the paperback department of Better Books since 1965 and had held film screenings there and at a number of other locations under different names, including Cinema '65. Based on a model inspired by the New York and other international film co-ops, the LFMC sought to provide exhibition, distribution facilities and a published journal to be called Cinim. An open submission policy was agreed that filmmakers could loan copies of their films to the Co-op and rental fees would be split 50/50 between the filmmaker and the Co-op. The formation of the LFMC was announced by a telegram sent to Jonas Mekas, a founder of the New York Film Co-operative, which declared the Co-op's intention to "shoot shoot shoot". 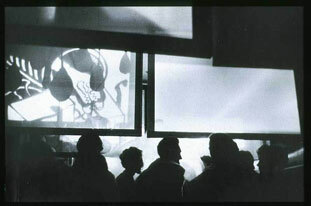 The initial co-op programmes combined classic American and some British avant-garde film along with open screenings. In the year that followed, the LMFC attracted members such as David Curtis, (who began programming at Drury Lane Arts Lab and later programmed LFMC's screenings) and emerging film-makers like Malcolm Le Grice and Peter Gidal. The operations of the Co-op became more organised after New Yorker Carla Liss was recruited in November '68 as the LFMC's first full-time distribution secretary. It was hoped that Liss, who had experience with the New York scene and had worked with Jonas Mekas, would provide valuable connections to NY film-makers like Stan Brakhage and Jack Smith as well as to the catalogue of the NY Film-makers Co-op. The American influence on London artists at this time was undeniable, particularly that of Americans such as Stephen Dwoskin, Henry Matusow and Andy Meyer and later Peter Gidal. The last co-op screening at Better Books happened on 11th August 1967; the bookshop closed shortly afterwards, and regular co-op screenings were then hosted by the Arts Lab, until the co-op found their own premises in a building on Prince of Wales Crescent. An initiative led by the second generation of co-op members, who included Le Grice and Curtis, began in 1967/8 to push for a production wing of the LFMC. At this time it was felt that the overriding dominance of American avant-garde film was far less than equally matched by domestic production. This prompted Le Grice to help build the developing and printing equipment which was first used at the New Arts Lab and later at his home in Harrow where it was used by art students from Goldsmiths and St. Martins, including Fred Drummond, Gill Eatherley and William Raban who later became key members of the LFMC.